Call (813) 933-2688 for a free estimate today! Friend’s Vacuum Sales & Service is the premier source in Tampa, FL for vacuum repair, new or used vacuum sales or carpet cleaning supplies. While we do not ourselves offer vacuum cleaning, we do indeed sell new vacuum cleaners as well as used vacuum cleaners. We have been in the business since 1956, and we are well known in the area due to our incomparable quality of new and used vacuums. We also provide vacuum cleaner repair when needed! When it comes to vacuum cleaners, we stick to repairs and sales; but we are experts in the realm of carpet cleaning and our technicians know how to handle all carpet cleaning tools and carpet cleaning materials. We perform free estimates and offer free scissor sharpening at any time! This is part of our customer-first philosophy. We really strive to make things easier for our clients on a daily basis. Why work with a less experienced and less reputable company when you can hire the services of a Friend’s Vacuum Sales & Service, who has been thriving in the industry for over fifty years and counting? 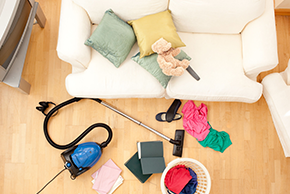 Your home needs and deserves a working vacuum at all times. If a problem arises concerning your vacuum, let Friend’s Vacuum Sales & Service come on over and fix the problem immediately! We take pride in our customer service and our affordable rates; these two things set us apart from other vacuum repair and sales companies. Our vacuum technicians are highly skilled, passionate workers who have dedicated their lives to perfecting their craft. Our rates always stay competitive, because we would not dare overcharge our clients! For all the best services in vacuum repair and sales, get in contact with Friend’s Vacuum Sales & Service right away!